GPS navigation Systems for Boats and cars. I have created this website to share my experience with GPS navigation systems and topics around them. Beginning with GPS for boats and cars, GPS trackers for dogs or drones as well as GPS related navigation software. Everything that is associated with and around the subject. The experience I have gained is mostly as the real GPS systems user and as a person interested in this topic. I would say that am a GPS user from its very beginnings. Today it is hard to imagine our life without GPS Navigation system and related to it spheres. Man-made space satellites and Jumbo Jets on skies. Vessels at sea and cars on streets are equipped with GPS navigation system. Those are just some of the areas where the satellite navigation has been used. I would like, to say a few words about the history of satellite navigation system development. To determine the position of the vessel in ocean and seas in the past, mainly it was possible by calculation of stars and planets position. Navigators manipulate with sextant, clocks and calculation tables to obtain ship’s latitude and longitude and plot them on sea charts. Sometimes it could take several days or even weeks to see the clear and cloudless sky. While unable to determine a ship position by stars or planets dead-reckoning has been used. In navigation, dead-reckoning is the process of calculating one’s current position by using a previously determined position, or fix, and advancing that position based upon known or estimated speeds over elapsed time and course. Only at the end of the last century, people began to use man-made space satellites to facilitate shipping. It started in the Cold War, and the great Powers such as the US, and the USSR spent heavily to have the winning ranks. No matter how well it would not be ironic, this competition contributed to the scientific and technical development. From the beginning, the US was established satellite navigation system NAVSTAR. The system was rather vague, but, in any case, better than a sextant and thick navigational calculation books. They were based on the Doppler effect. NAVSTAR system had low-orbit satellites and to determine coordinates. Satellite appearance sometimes had to wait for hours. This situation is not satisfied with not only military forces but also civilian users. Already at the end of the last century, the US Army established a new satellite navigation system Global Positioning System or GPS. A system consists of 24 stationary satellite’s constellation. Land-based correction stations and GPS receivers from a broad range of manufacturers as GARMIN, Raymarine, FURUNO, HUMMINBIRD, and many others were involved in GPS equipment producing and trading. It was not a high accuracy for civilian users during the first years. The offset was due to military safety reasons, but nowadays accuracy is excellent, and it can go up to a few centimeters. 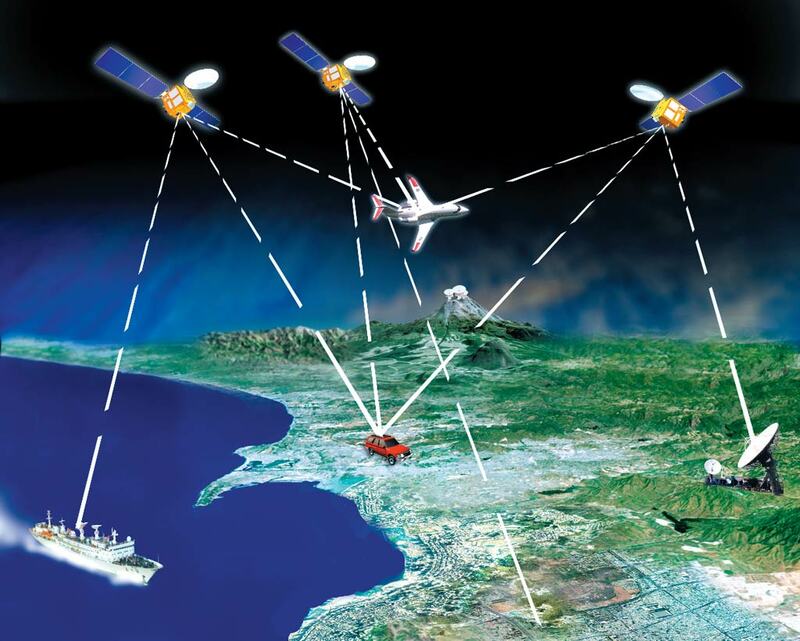 European Union is currently developing Galileo the global navigation satellite system (GNSS). Completed Constellation will consist of 30 satellites including six spares. The project is delayed and slowing down because of technical glitches and budget. I hope that sooner or later customers will have a wider choice which SatNav system to use. Furthermore, Russia has its global satellite system called GLONASS. Transliteration Globalnaya navigatsionnaya sputnikovaya systema or “Global Navigation Satellite System”, but it is particularly widespread popularity in the world has not attained. Knowing the quality of Russian equipment, I do not think that GLONASS will be able to compete with GPS in the near future. Not because Russian satnav system is inadequate. Competition in satellite navigation devices manufacturers is so high and to beat it would take time and enormous resources. Russia’s current political and economic situation does not give specific expectations of the once so powerful Russian space industry to conquer the global market. Let’s back to the GPS navigation system. I can say only the best. We are using it in very many spheres of life, and that helps us in different life situations. The very first, big GPS receivers nowadays are so small to mount in cell phones and other everyday devices. GPS market is huge, and I’ll try to help you better navigate in it. GPS hardware manufacturers or GPS apps for iPhone and Android smartphones are so many and not always, the most expensive products are the best. I’ll try you to focus on proven values. To err is human and we learn from mistakes, but we can reduce the number of errors. Technologies are developing at the speed of light and no way to be in touch with all of them, so we have to believe in the word in many cases. A wise man has found his way to trust someone, but it is not so easy to execute. I would like to share my experience and knowledge honestly and openly. I also do not know everything and learning every day to be sure the information shared by me is of the highest quality. We will discuss GPS Navigation Systems for boats and cars as well as GPS trackers and even marine navigation software. Let’s adopt that all these things are in constant development. Yesterday’s and Today’s High-End features, Tomorrow will be a regular thing. Every time I am searching for information about particular Sat Nav device I get new knowledge. So, it means that I still learning, discover something new and also tend to make mistakes, which is only humanly. Please correct me when I am wrong. Together we are all getting smarter, and we could achieve a lot more out of today’s achievements. Great information but I do not know how many people will want to learn about it. People already have phones with navigation and it kind of explains itself. What are you trying to sell with this information that you are providing? I would love to see a unique product that could help me better navigate throughout the town. Thank you Chris for comment! You really true about it that the vast majority of people have mobile phones with GPS. They really do not need nothing more in everyday life. Open Google Map or other navigation app type your destination and thats it you will be guided home or any other place you want. But there are other areas where serious professional GPS equipment is in high demand and their prices fluctuate in thousands of dollars. Offer is great and help navigate in it can bring success in the future. Tried fishing below the ocrtut brook last night, found a few dace and bass. Water was at 1500cfs. So I decided to clear a trail while I was there. Just upstream of the bridge you will see an easy access to the water. Fish on. Very interesting content on this website. I particularly like the section about the history of the GPS.Just a piece of positive comment is that you should start adding reviews of GPS devices that are commercially available to the public. This will improve your google ranking and also improve your sales. Hi Darry! Yes, GPS is a really interesting history. I have a lot to tell from my own experience. I approached the point to start the review of specific GPS devices. I think that a small insight into the history and a bit from my personal experience GOOGLE will not condemn me. Thanks for the advice! Andrejs Riga Latvia. No matter what the topic, there is always something to learn. I have to say, when GPS first came into the general public domain, I thought it was amazing. I can’t imagine how much it will evolve over the next 20 years, when you consider how far it’s come in such a short time. Exactly! In the near future to develop publicly available AIS for cars. 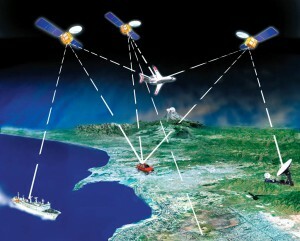 AIS (automatic identification system) is widely used in maritime transport. This system is mandatory for almost all vessels and it is practically unusable without GPS. But the open ocean ships AIS-GPS without restrictions and much more to be Safer on water and roads. Very interesting, I like your article! It made me realise (again) how uconscious we live our lives. I have NEVER thought about how the GPS of my phone, or the car navigation works. Of course, it is just not possible to understand everything around you. But such an article provides valuable information and points out how unbelievably smart human is. I’m looking forward to see the navigation systems you will offer and review! Thank you Daniel for your comment! Honestly thou hast laid me think about the fact that people often really do not think about many things. One can ask why I need to know how and why operating my car’s navigation? Just working. It can already ask about e.g. car engine. But if you know, however, it can often save you money. One dishonest auto mechanic will not be able to issue you $ 200 invoice for $ 30 worth air filter. I have really enjoyed learning about the GPS Navigation Systems. Thank you for sharing your knowledge. Thanks Eleen! Actually I have too much to say and I will. Step by step as soon as get free time. There are some obstacles IN trying to overcome. Technology has simplified the way we live now. Mobile phones and other devices with inbuilt GPS systems to guide you. I love the information you are passing out. Some people are just so excited and go about using the system with knowing a little history about it. I am not saying we have to know the history of everything we use but for those interested will find this very informative. Hi Cedric! I totally agree that something know the basics of what you doing is just humanly. Sometimes it can be a great help. Its amazing how the technology for GPS has improved greatly over the years. 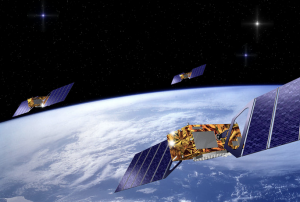 But its even more amazing to me because these GPS Satellites are in space. Now we have GPS on phones. Its also crazy how they can track wherever you are with your phone but there is a lot of benefits as well. Thank you for your comment! With the technical wonders and achievements, we can come across at every turn. With a GPS or other navigation system existence no one is surprised nowadays. Simply it is. Like the wheels of our car or a mobile phone in pocket. Although there are still people who do not use cell phones let alone about GPS navigation. I read your post and some of boat GPS reviews. As I see you are experienced in boats and even fishing addicted. I found Garmin GPSmap 478 GPS Receiver perfectly fits my needs, but not available in local Latvian shops. I found in Latvia Garmin online shop only handheld GPS nothing for boats. I guess you live in Latvia according your About Me page. My question is regarding Amazon.com purchases and shipping. Can you PM me special features if any exist? Yes, You are right, this Garmin device no more currently unavailable in Amazon.com shop. Cople of weeks ago there were 2 or 3 new ones and some used. Instead, check this Garmin GPSMAP® 640 All-In-One Marine & Automotive GPS for $379. For shipping details and fees see amazon.com. I think that no free shipping available outside the US. If any questions, be free to ask 24/7. Great website and tons of valuable information. I am a professional mariner and sailing yacht skipper as well. More or less familiar with GPS navigation devices but mainly for big merchant ships. My question is, could you be so kind and advise me good not very high priced all in one tool for 10 meters long sailing yacht? By my mind the best choice is Garmin GPSMAP 7610xsv if you can afford it. As I review in my post the Humminbird 409620-1 HELIX 5 DI is good and durable equipment. Anyway if space is enough, I prefer stand alone devices separately GPS, Sounder, AIS and so on. I am old fashioned motorcycle rider but after reading your article decided to make a purchase of GPS navigator for my bikes. More or less everything is clear just one short question. How about charging GPS battery? I do not think that it is so easy to apply to my old fashioned motorbikes. Any suggestion? Thanks Aivars for stopping by! You absolutely can use GPS for motorcycles to drive old good or even antique motorcycle. You just have to make a bit more research to find proper holder. If your bike is equipped with any battery, then DIY wiring and you are good to go.